With our dot peen marking systems, the mark is created by vertically oscillating a carbide indenting pin, which is moved along the X and Y axes using two stepping motors. 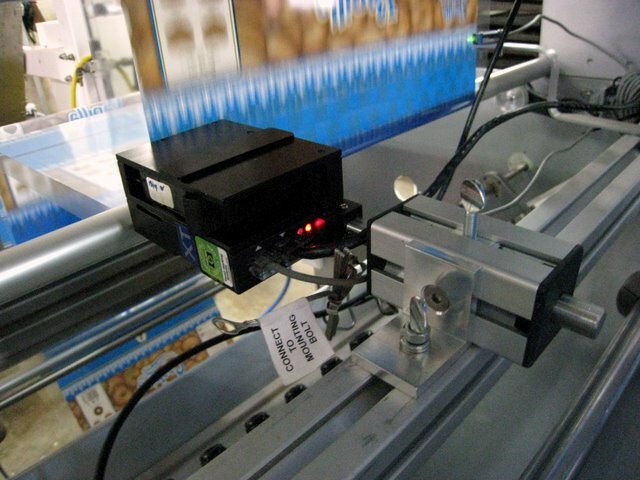 Depending on the needle system, the needle frequency is adjustable or continuous running. At high needle frequency the mark is created by a dense series of points, forming an uninterrupted line. At lower needle frequencies uneven surfaces can be easily marked. Any alpha-numeric characters, figures, symbols including datamatrix codes can be marked with high quality. Text can be positioned at any angle or curve. The marking system can be controlled with our UMC-eco, UMC-box or UMC-112 controller, each offering respective features and advantages. Software is provided for WYSIWYG programming of logos, serial numbers, date-codes, time-codes and datamatrix-codes. 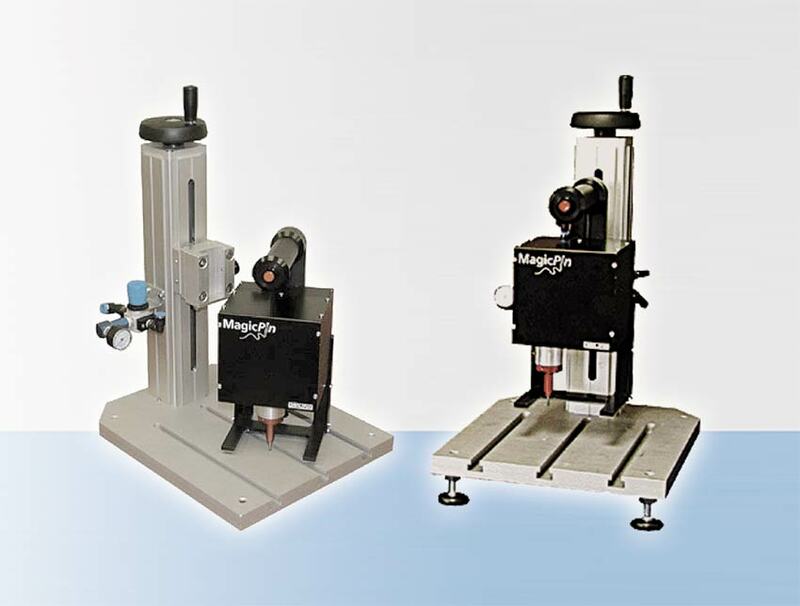 Marking heads are available in 4 different models according to their marking area. 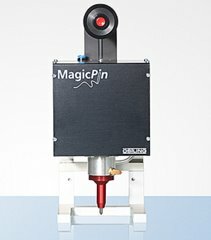 The MagicPin system is a low-cost dot-peen alternative to the original PinMark systems. Any alpha-numeric characters, figures, symbols including datamatrix codes can be marked with high quality.Text can be positioned at any angle or curve. These hand-held engraving systems are also able to be mounted to a table for hands-free operation. In this way, the flexibility of a hand-held unit is combined with the features of table model machines.